The Dreamer Nano V4.0 is a surface mount breadboard embedded version of the ATMEGA 32U4 with integrated Micro USB. It has everything that Leonardo has (electrically).Physically, it is just missing power jack to save space. The Dreamer Nano v4.0 is compatible with most Nano shield in the market. It's suitable for projects that require a compact size controller system. 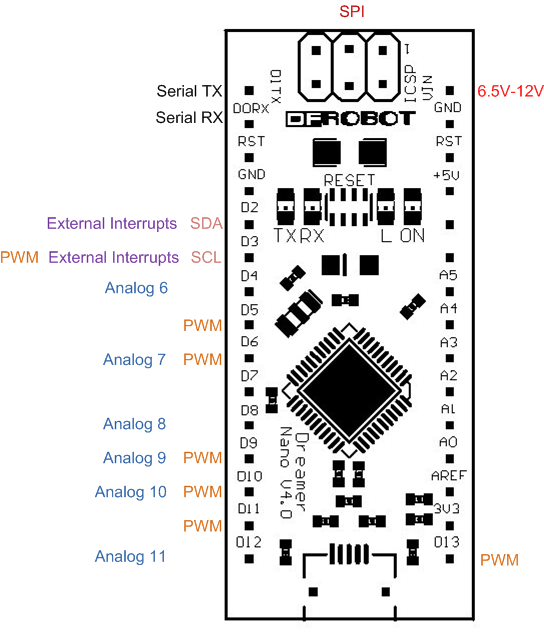 The Dreamer Nano can be programmed with the official Arduino software (download). Select "Arduino Leonardo from the Tools > Board menu (according to the microcontroller on your board). The ATmega32U4 on the Dreamer Nano comes preburned with a bootloader that allows you to upload new code to it without the use of an external hardware programmer. It communicates using the AVR109 protocol. You can also bypass the bootloader and program the microcontroller through the ICSP (In-Circuit Serial Programming) header; see these instructions for details. 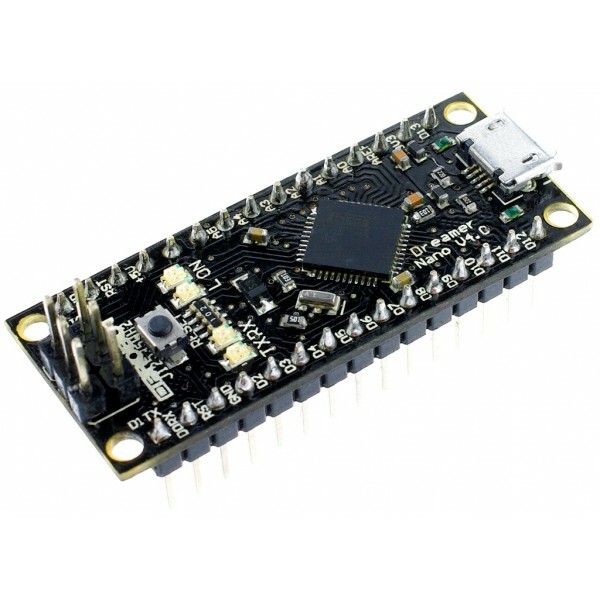 Get Dreamer Nano V4.0 DFR0213 from DFRobot Store or DFRobot Distributor.